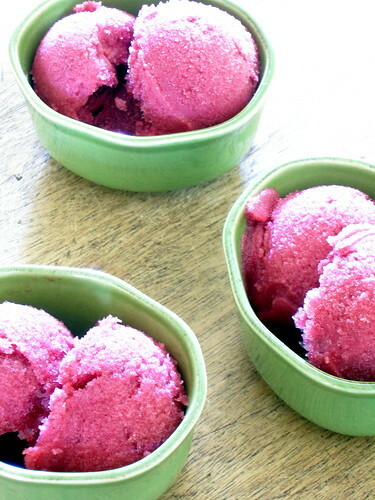 As it turns out, sorbet is one of the simplest things to make. It takes so little effort that there is almost no excuse not to make it. 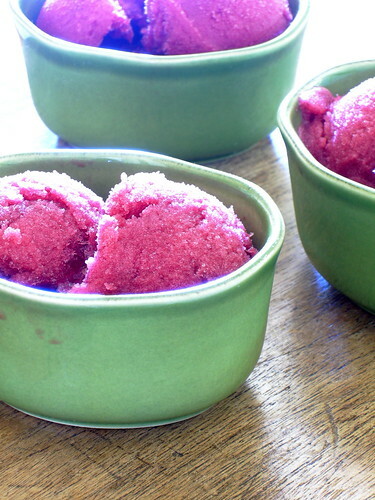 Sorbet is always wonderfully refreshing and tangy, and it is guilt-free too. 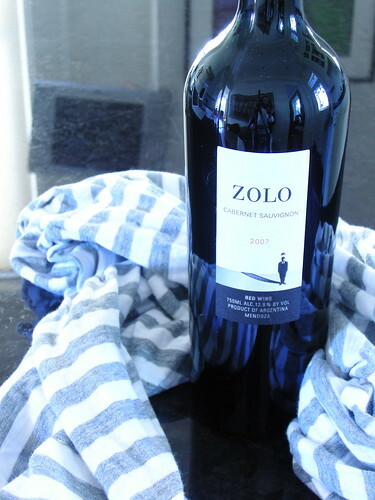 It really can stand alone, but I would never object to pairing it with another, richer dessert. This sorbet is no exception. I found myself wondering if I had actually made it at all. I even checked in the freezer after school today to make sure I had not dreamed it. Sure enough, it was there, bold and magenta. Boy was I excited to taste it. It wasn't quite as bright as I had expected; it was a bit deeper and more robust than I had expected, but it was not unwelcome. Sorbet can be quiet and subtle or it can be invigorating and lusty like this one. The color itself is enough to make it enticing, but the flavor definitely does not take a back seat. I advise that you make this immediately, or at least for your next dinner party. Bring the sugar, water, and red wine to a boil. Boil for 1 minute. Remove from heat and add raspberries. Cover and steep for at least 1 hour. Press through a fine sieve with a rubber spatula. Chill thoroughly and freeze in an ice cream maker according to instructions.